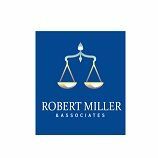 Miller & Associates - Orange County DUI Attorneys - Robert L. Miller and Associates in Orange County, California is a leading law firm that has been known for its several years of successful practice in the field of criminal law. Best Dui Lawyers In Orange County Are you someone on the lookout for a reputed team of lawyers in California who can help your friends out in getting out of the clutches of DUI arrest case? Are your friends really worried for their peaceful lives? If yes then tell them not to worry for the best team of lawyers expert in criminal law is there for them. This reputed team of lawyers is Robert L. Miller and Associates, the law firm in Orange County that comprises a team of the most proficient and well-experienced lawyers delivering the best law services for the betterment of people. Contact the firm now.